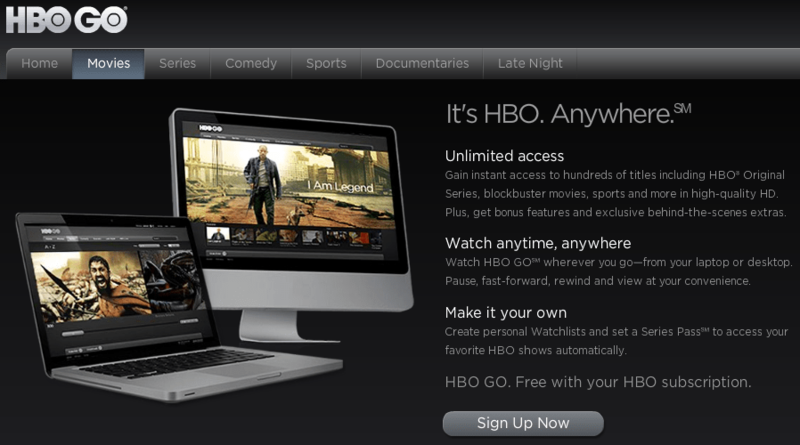 On May 2nd, HBO is introducing HBO Go, a program to introduce streaming to HBO content, for free to HBO subscribers. I recently joined that group because of the Game of Thrones series that started last Sunday. I know many cordcutters were hoping that HBO Go would be a means for viewing HBO content without having to have an HBO subscription or a cable/satellite provider. Depending on your TV provider HBO is about $17/month and this is a free additional offering to subscribers. HBO Go sounds like a great feature that more networks should adopt. You’ll get access to HBO series, movies, sports, and more shows with some in HD. It can be streamed to a PC, laptop, Android device, iPhone, or iPad. From a consumer perspective, this is a far better solution than making your content available through Netflix or Hulu for additional costs. The fine print, however, limits who can take advantage of HBO Go. You have to be a subscriber to HBO (and cable or satellite obviously) but you also have to a subscriber to certain providers at the moment. U-Verse, Comcast, Cox, DIRECTV, DISH Network, Suddenlink, and Verizon FiOS are the currently listed providers though more should be added over time. Unfortunately for me, Mediacom is not one of the compatible providers yet. You must also be in the US and have a broadband connection with a Flash-enabled browser or compatible device. If you’re currently an HBO subscriber, look for HBO Go to launch May 2nd. For cordcutters, perhaps this is only babysteps in the right direction before HBO starts allowing individuals to purchase a streaming-only subscription. You can learn more and sign up at HBOGO.com and find answers to any questions on the HBO Go Help pages. Cinemax is offering the same service with MAX GO, free to Cinemax subscribers. You’ll have to sign up for both HBO Go and Max Go separately but if you subscribe to both HBO and Cinemax, you’ll be able to enjoy them both free.